Somebody better check the calendar because it seems that somebody switched the weather for February and March. In fact for only the 5th time in the 100 years of records in the region, the average temperature was lower in March than it was in February (the last time this happened was in 1984). The overall temperature was almost half a degree below average, but this is still within the average range. However, this was the first time there was an overall temperature that was even a little below the average since April of last year. 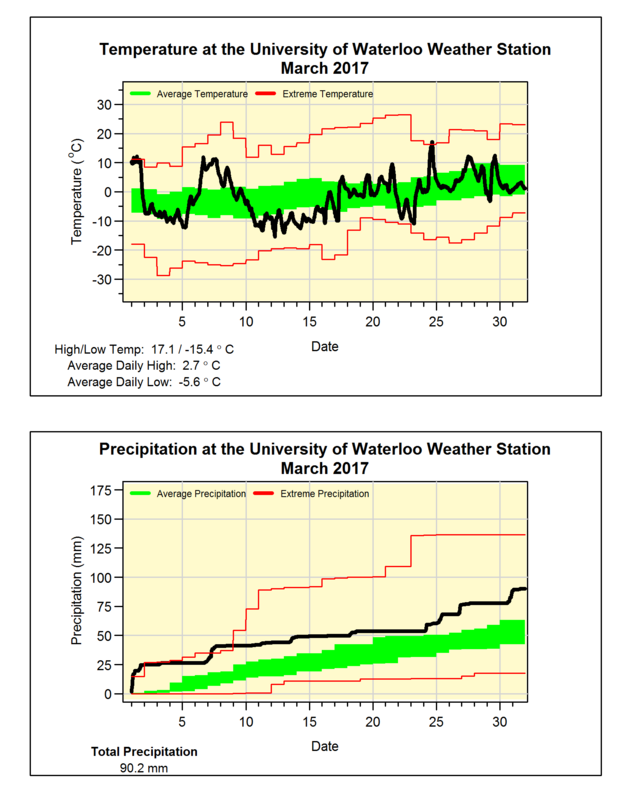 It was a wet month with 90.2 mm of total precipitation compared to the average of 61.0 mm. Interestingly, even with the cooler temperatures, a lot of that precipitation came down as rain instead of snow. We only got 12 cm of snow compared to the average of 26.5 cm, this brings the total for the season up to 125 cm which is less than the 150 cm average for the end of March.